The MacGregor 26X is an innovative design from the well-known US builder and whilst there are certainly higher performing sailboats (and speedier powerboats) what they have done well is combine the potential for a very wide range of fun boating experiences into a single vessel. She's been well looked after, only afloat for the summer and ashore on her own trailer at the same yard each winter and that care shows in the way she is presented. MacGregor Yachts describe the 26X as 'a small boat specialising in happiness!' What could be more fun than that? 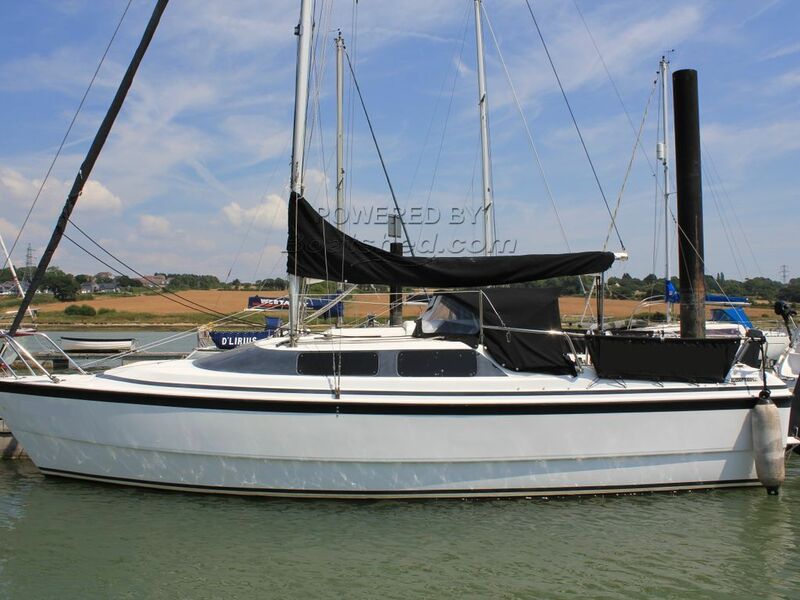 This MacGregor 26X has been personally photographed and viewed by Corinne Gillard of Boatshed IOW. Click here for contact details.